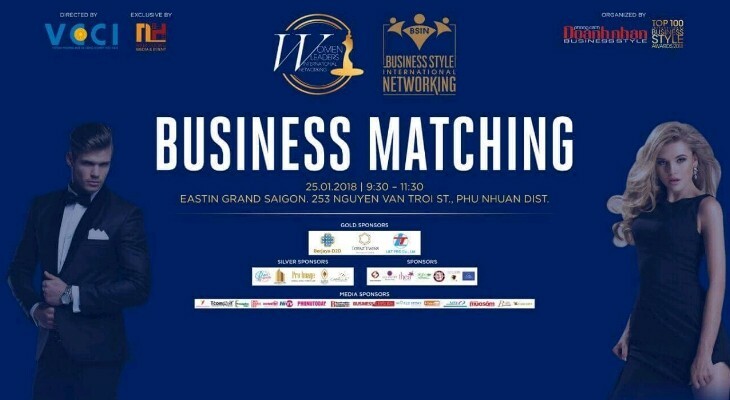 Belonging to framework of Top 100 International Business style Awards 2018, Business Matching will be held at 9:30 – 11:3, on January 25th, 2018 at Eastin Grand Saigon – No.253 Nguyen Van Troi street, Phu Nhuan Ward, Ho Chi Minh city. This is an activity to connect business for entrepreneurs from many countries such as USA, Sweden, Australia, South Korea, Singapore, Thailand, Malaysia, Indonesia, Philippines,… and Vietnam. Attending Business Matching, entrepreneurs have chances to connect, exchange and introduce their own business fields as well as fields that they want to do business in the future through this event. Stimultaneously, the program is a place to exchange information between entrepreneurs and leading experts about development trends in the modern society. With the desire to build unlimited connection to create trade relationship between domestic entrepreneurs and foreign businessmen, Business Matching will be a bridge to bring many cooperation opportunities for business leaders from many different fields.